A demolition company levelling a central Christchurch building threw out valuable records and documents despite salvaging the cabinets and cupboards in which they were stored. The Community House building at 141 Hereford St, occupied by welfare and social service groups, was badly damaged in the February earthquake and is being demolished by March Construction. On September 30, the 23 tenants, who had hoped to re-enter the building to retrieve records, were told none of their property could be salvaged because the building was unsafe. The same day, staff from one of the tenants, the Christchurch Small Business Enterprise Centre (CSBEC), were coincidentally shopping at the Salvage Warehouse in Heathcote, and found their paintings, filing cabinets, cupboards, interview room tables, a dishwasher and two computers for sale. They also saw their new water heater and the kitchen sink. Another tenant, who cannot be named, recovered a laptop from the warehouse. CSBEC manager Lindsay Jeffs said he was flabbergasted by his staff’s discovery given they had been clearly told nothing belonging to the tenants could be salvaged. Jeffs said he was not really concerned about tables and cabinets, but was angry salvage workers had not considered the value of records and documents to the seven community organisations on the two floors. Tenants Protection Association manager Helen Gatonyi, whose organisation was on the first floor of the building, said she had also received the notification none of her organisation’s property could be rescued but she was now very skeptical. Emails obtained by The Press show the Christchurch Community House Tenants’ Trust (CCHTT), which represents the tenants, was told on September 30 by the building’s owner, Canterbury Community Trust (CCT), that it had received confirmation 141 was “unsafe” and “that all our [CCT’s] efforts to salvage tenant property have not been successful, we are disappointed that we were not able to effect recovery but workers’ safety is paramount”. The emails show the discovery of the items “totally gobsmacked” CCT which asked its project manager, property manager and March Construction for an explanation. The correspondence shows a meeting on Friday last week revealed the third and fourth floors of the building were stripped and materials recycled as “the contractor claimed none was on the list provided”. “We are disappointed with what has transpired. We have to accept that the actions of the demolition contractor were in accordance with the contract but not within the spirit of Community House,” trust manager Wayne Ward said, in one email. March Construction general manager Nick Carvel said the company made no money from the recycled goods, which were handled by a subcontractor. March had not received a list of items to be retrieved and it was not its job to sort through filing cabinets and contact owners. via Christchurch earthquake | Records tossed in demolition… | Stuff.co.nz. Hurricane Hauling and Demolition Inc. , a Marin based demolition and hauling company that performs work throughout the greater Bay Area, has recently begun a major project using a deconstruction process that protects both the Earth and the owner’s pocketbook. Deconstruction is the first step in green building, as materials that would normally end up in landfill become reused and recycled. The demolition of one of the oldest churches in Canterbury has been branded an “absolute sacrilege” by heritage advocates, but Anglican Bishop Victoria Matthews is defending the deconstruction of the quake-damaged Church of the Holy Trinity. The Avonside building, designed by Benjamin Mountfort and consecrated in 1857, was badly damaged in the February 22 earthquake and has now been almost completely demolished. Lyttelton sculptor and stonemason Mark Whyte and heritage advocate Lorraine North, however, say the church should have been slowly deconstructed in order to salvage unique heritage materials. Whyte said the building, with unique stained-glass windows and hand-painted ceilings, was more important than Christ Church Cathedral. “It is a pile of smashed up timbers now. It is absolute sacrilege,” he said. “It is a very important church and has some very important Mountfort ceilings that have all been smashed in. “In a perfect world, I would have very slowly dismantled the place and retrieved as much as possible of the heritage fabric, but it is all gone. It is pretty sad. “The ceilings had collapsed, but it really doesn’t help being demolished in this way. It could’ve been picked over by hand rather than the diggers crunching over them. STONEWALLED: Mark Whyte is unhappy with the way Trinity Church has been demolished. “This is indicative of what is happening in Christchurch on every heritage site. North said the demolition had been “too hasty” and it was “a shame that other options were not explored and there was no public appeal and no attempt to save the church without just going to demolition. Bishop Matthews, however, said the church had been a “very, very perilous building”. Project manager Kevin Long said workers had recovered as much of the heritage fabric as possible. A stone font, pulpit steps and a series of stone carvings were salvaged, as was a time capsule – a glass bottle set in concrete beneath the nave and containing a piece of paper with the words of the church’s original consecration. Watch the great video here! via Trinity Church Demolition An ‘Absolute Sacrilege’ | Stuff.co.nz. BLOOMINGTON — Neighbors concerned about Henson Disposal’s plan to recycle construction and demolition waste at their facility on Tri Lakes Road in Bloomington spoke Wednesday during a meeting with Illinois Environmental Protection Agency officials at the Tri-Lakes Banquet Hall. About 50 people attended the meeting, with more than half indicating they live near the facility, which was approved in February by the McLean County Board. The IEPA granted its permit in July. McLean County Board member Paul Segobiano, who served as moderator of Wednesday’s meeting, said the purpose of the gathering was to give residents a chance to ask questions. “The citizens felt like they didn’t have input,” Segobiano said afterward. Two representatives from the IEPA answered pre-submitted questions and fielded a few additional from the audience. Inez Mott, who lives next to the Tri-Lakes Banquet Hall, was concerned with the dust the facility could generate. She said it’s already a problem with Henson’s mulching operation. “I can see the dust, and I’m concerned about the kids and elderly who fish,” Mott said after the meeting. Paul Purseglove, manager of field operations for the IEPA, told residents there would be dust and noise, but each is regulated under the permit and periodic inspections would be done to ensure compliance. After the meeting, Tom Kirk, one of Henson’s owners, said the facility will begin accepting roofing shingles on Monday. 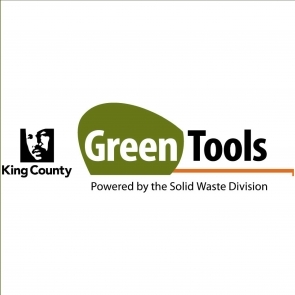 Other construction waste recycling operations will begin in late October. via Illinois EPA hears from residents on Tri Lakes waste plan. State officials are set to begin hearings on rules about acceptable levels of construction site dirt and debris that can be deposited in quarries. The Reliable Sand and Gravel Co in McHenry, September 19, 2011. Questions about the earthiest of matters — whether there is such a thing as clean dirt and, if so, does it exist in Chicago? — are at the heart of a bitter policy fight between two powerful, politically connected industries: landfill and quarry operators. Next week in Springfield, the Illinois Pollution Control Board will begin what promises to be a highly charged set of hearings about rules proposed by the state Environmental Protection Agency to define whether dirt and debris from construction and demolition sites is clean enough to be deposited in quarries. Such dirt and debris has long been deposited there, and state statutes mandate that the deposits be clean. But “clean” has never been clearly defined. The debate over the proposed regulations is expected to resonate in suburban communities that get their water from aquifers connected directly to quarries, which have no linings or barriers to prevent toxic materials from leaching into the water supply. It has pitted quarry operators, who say that the proposed regulations are too strict and costly, against landfill operators, who say the proposed rules are too lenient and will lead to polluted drinking water. The landfill operators say most dirt in Chicago is contaminated enough that it should be going to landfills, which have waterproof liners and stricter monitoring requirements. 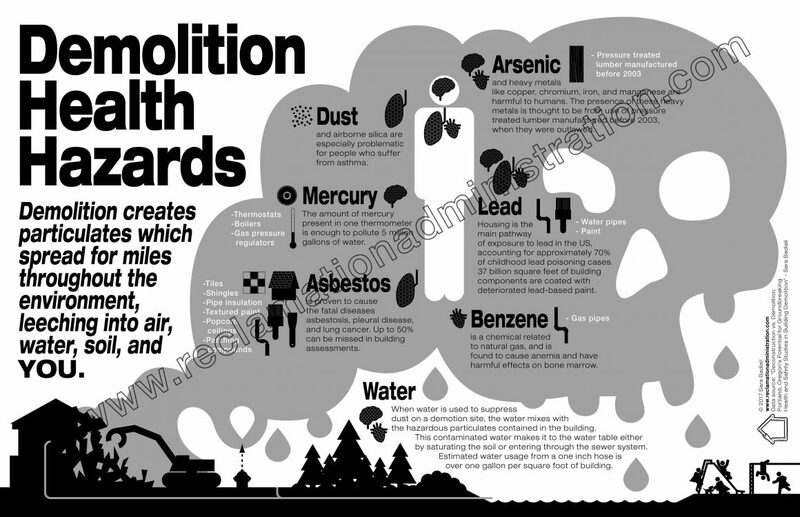 In 2010, the State Legislature passed a law that requires the pollution control board to develop rules to ensure that contaminated dirt is not dumped in quarries. A dilapidated pre-Civil War Creole home in Treme built by one of the city’s first brass band leaders in the 1850s has been torn down to the chagrin of preservationists who’ve warned that the city is losing a chunk of its architectural and musical heritage in the rush to rebuild from Hurricane Katrina. On Friday, wrecking crews demolished a two-story Creole cottage built by Charles Jaeger, a German immigrant who became a major band leader in New Orleans during the antebellum years and after the Civil War. Brass band music, considered a progenitor of jazz, became popular in New Orleans after the Civil War. Brass bands still play pivotal roles in New Orleans culture. “Another historic music landmark bites the dust in New Orleans,” said Jack Stewart, a New Orleans music historian and preservationist. The broken down and abandoned building was standing in the way of expansion plans for St. Peter Claver, a growing Roman Catholic church and school. The Creole plantation-house style house, which had a gallery running around it, was in bad shape with one side buckling and its wooden frame was eaten up by termites and decay, contractors said. Despite its derelict state, preservationists and city officials had hoped to save the building. Those efforts did not pan out because of a lack of money and time. She said it was one of the oldest buildings in Treme, a historic neighborhood where a society of free blacks flourished in the 1800s after the arrival of thousands of refugees from the Haitian Revolution. The house of Jaeger was located on North Roman Street in the upper portion of Treme. Charles Chamberlain, museum historian for the Louisiana State Museum, said the building was a rare example of Creole architecture in the United States. Jaeger, a cornet player, moved to New Orleans in the 1840s and became a band leader. Stewart said he led several bands, including white, black and integrated groups. Jaeger died at age 52 in the early 1870s. Since Katrina, numerous homes and music halls that incubated New Orleans’ musical art forms have disappeared in large part because of the city’s zeal to eliminate eyesores and tackle the longstanding problem of blighted property. After taking office in 2010, Mayor Mitch Landrieu said he wanted to eliminate 10,000 blighted properties in three years. But the effort has been criticized by preservationists for not taking enough care to preserve the city’s history. For example, the city unwittingly approved the demolition of the childhood home of jazz great Sidney Bechet in late 2010. Since the 2005 storm, the city also has lost the Halfway House, a venue that had been turned into a pesticide business and later damaged by fire, the Gallo and Dixie theaters and the Naval Brigade Hall. The homes of several jazz musicians — including Louis Nelson, Willie Guitar, Ed Garland, Danny Barker and Buddy Bolden — have been torn down or fallen into disrepair since Katrina. New Orleans has a long track record of tearing down historic buildings associated with jazz. The most glaring example was the demolition of Louis Armstrong’s childhood home on Jane Alley in the 1960s to make way for the city’s prison. via Historic home of music great torn down in Treme | The Associated Press | Music | Washington Examiner. Recycling company Knowaste plans to open 5 factories in the U.K. that will transform used diapers, incontinence and feminine hygiene products into green home building materials such as shingles and siding. Over the next four years, Canadian recycling firm Knowaste plans to build five facilities in the U.K. each capable of converting 36,000 tons of absorbent consumer waste products (i.e. used diapers along with feminine hygiene and adult incontinence products ) annually into recycled plastic building materials such as roof shingles, siding and commercial tubing. Just think — one day in the not-too-far-off future you can live in a house built from soiled nappies! Or not. In the U.K. alone, more than 1 million metric tons of absorbent hygiene waste, “the convenience curse of the 21st century,” is landfilled or incinerated of each year. The Knowaste recycling facilities where used hygiene products are sorted, sterilized and ground up into recycled plastic pellets will put a slight but much-needed dent in this figure. Find out more about how the process works in the video that’s embedded below. For now, the waste will be collected from Jamie Lee Curtis’ garbage can nursing homes, hospitals and child care facilities, although in the future the domestic market may play a part in this innovative recycling scheme. via Today’s poopy diaper, tomorrow’s recycled roof shingle | MNN – Mother Nature Network. Singapore’s National Environment Agency (NEA) is urging the local construction industry to use more recycled and waste materials as building material, which can come from existing buildings set to be demolished as well as other sources. Speaking to Eco-Business on the sidelines of the International Green Building Conference (IGBC), NEA’s manager of waste and resources management, Carrie Wong, said the agency has been discussing how to promote the use of recycled and waste materials with the Building and Construction Authority (BCA) and other agencies. “We are also looking at other materials such as copper slag, which is generated from the marine industry, as well as incineration ash to see how we can make use of it as construction material,” said Ms Wong. Currently, some of the industry players are practicing similar innovation but Ms Wong is hoping for waste materials to feature in more aspects of construction and play a bigger role in new buildings. However, some experts point out, changing the mindsets of Singaporeans who may frown on living or working in a building made out of waste materials might be a challenge. But the NEA says it is hoping that with further education and awareness, more people will be receptive to the idea. “Singaporeans are becoming more well-traveled and if such practices have been accepted overseas, maybe we have a chance,” noted Ms Wong. However, executive director of Waste Management and Recycling Association of Singapore (WMRAS), Yvonne Soh, believes more legislation might be needed to push the idea forward. “Legislation provides a level-playing field, so you can compete on equal ground with natural materials,” said Ms Soh. She observed that some developers in Singapore are already using more waste and recycled materials for construction but that they don’t readily publicise this as they are careful when it comes to their branding. So, while developers are wary of making it known that they are using recycled materials, they are well aware of the cost benefits. And these are huge savings, according to scientific director Dirk Hebel of the Ethiopian Institute of Architecture, who said that using waste materials could lead to a 90 per cent savings in the Ethiopian construction sector. And he believes such savings are possible elsewhere too. “Singapore has a long history of making sure affordable housing is available for the people. 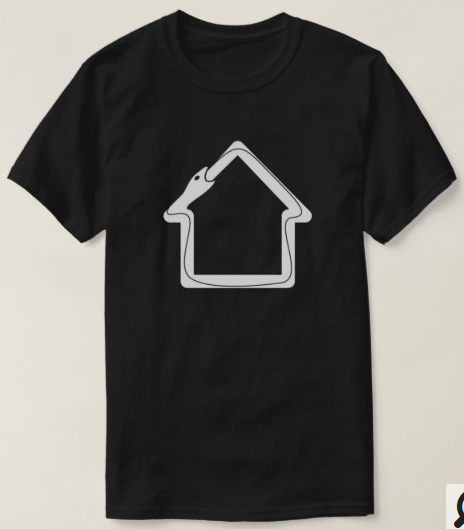 If we can construct cheaper houses here in Singapore, there would be more benefits for residents, such as cheaper rents, and housing prices could potentially drop as well. And maybe there could be a better living experience,” he added. Mr Hebel will be joining a new Singapore-Swiss research facility called the Future Cities Laboratory. It will conduct studies on sustainable urban development. This relates to how modern city structures can be environmentally sustainable as well as cost efficient. He also firmly believes that a country should try to use as much local material as possible rather than relying on imports when it comes to construction purposes. Even for a country like Singapore which depends vastly on imported materials for construction, Mr Hebel said research holds the key for solutions. Experts on the closing day of the IGBC in Singapore agreed that innovative research ideas such as these, coupled with legislation and education, is indeed the way to go for the proper use of waste materials in the construction sector. 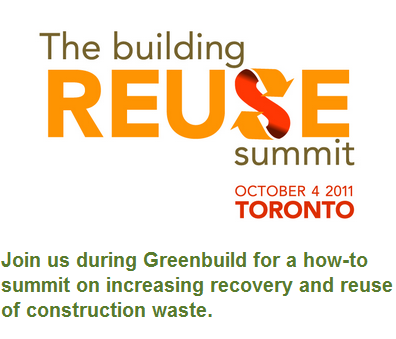 Eco-Business.com’s coverage of the International Green Building Conference 2011 is brought to you by City Developments Limited. For other news from Singapore Green Building Week, including the International Green Building Conference 2011 and Bex Asia 2011, click here. via Eco-Business.com | Asia Pacific’s largest green business community | Sustainability and Environment | News, Opinion, Events, Press Releases, Jobs, Directory, Resources. Firefighters work to smother a blaze at the landfill. PIGEON FORGE — A fire Friday evening at the landfill on Ridge Road spread quickly over a couple acres of construction and demolition waste, but fortunately never threatened structures or surrounding woods.With the help of a bulldozer operated by a Sevier Solid Waste employee, crews from five fire departments were able to quickly knock the blaze down, leaving a large cloud of thick smoke the only problem. In dealing with that, Emergency Management Director John Mathews issued his first reverse 911, a system that calls people in the area of an emergency to give them warning.”My main concern out of all of this is the smoke,” Pigeon Forge Fire Department Chief Tony Watson said. “Its not something we want spreading, since weve got those construction materials burning in there, so weve got to control it.”While neither Watson nor Mathews expected the haze to cause serious environmental or health problems, they wanted to issue a warning for residents who live near the landfill out of “an abundance of caution,” Watson said. via The Mountain Press – Landfill fire quickly contained. “I was writing the garbage man a $10,000 check every month, and I realized that could support a living wage and a half,” he says. So he bought a truck and started an in-house recycling system in the yard of the office building (which boasts flooring made from recycled bleacher seats). If there is a downside to upcycling, Hagerman says, it’s the inefficiencies related to organizing, moving and storing the supply. Regardless of how cheap any reclaimed materials are, they can represent a huge waste of energy and time if you don’t already have a purpose in mind when you take possession of them. Plus, there’s the danger of running out. “You can’t develop a line of something, because there’s no guaranteed way to get more of the material,” he says. via Upcycling Becomes a Treasure Trove for Green Ideas – SecondAct.com. 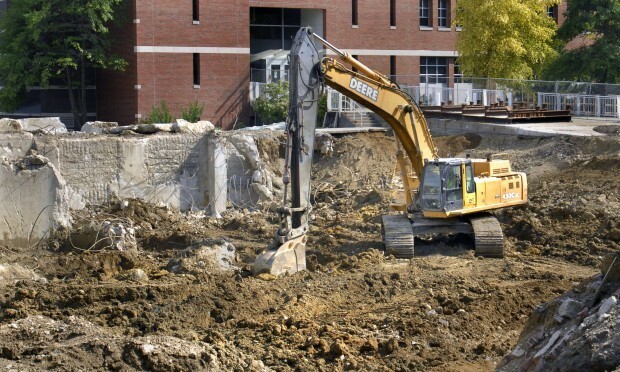 In razing its old library, Illinois Wesleyan University didn’t just send a bunch of crumbled rock to a landfill. Most building materials were salvaged for reuse and some, in fact, will play a part in the university’s future. Stark Excavating crews, handling the demolition of the former Sheean Library, have spent July and August separating metals and concrete masonry as they knock down the sturdy 45-year-old structure. Much of the crushed concrete will create a “lay-down yard” for a new classroom building, creating a graveled space for equipment storage and other uses. A construction date for the new building won’t be set until fund-raising is complete. focus. Sheean closed when Ames Library opened in January 2002. Other materials, such as fluorescent lamps, are sent to specialists who cull reusable mercury and glass, Jorgenson said. Recycling Sheean’s building materials helps IWU meet construction standards set by Leadership in Energy and Environmental Design, he said. Most of Sheean’s recycled materials will come from the building’s concrete masonry and bricks. Stark uses a giant jackhammer on a backhoe to crush concrete; a grapple device can pinch materials and then crush those, too, said Moore. Recycling is not just good for the environment, it’s also economical. “It would cost Illinois Wesleyan to dump, and that’s expensive,” said Moore, who said transportation adds to the cost. Boston-based architects Shepley Bulfinch Richardson and Abbott designed the new building, which will house tech-savvy classrooms, resource rooms, study areas and faculty offices for business administration and economics departments. Shepley Bulfinch also designed the $25.7 million Ames Library and the $7.1 million Hansen Student Center renovation. via Most debris from old IWU library salvaged for reuse. This is a long but insightful article on an illegal waste facility and a NJ legal system that failed to do anything about it for the last 20 years. Citizens are uninformed and unaware of regulations for waste and waste haulers all over the country. Here at the RA we will be starting a project to help change how people (don’t) see C&D waste. It’s called the Drop Box Brigade, and we hope something as simple as a picture will inspire community involvement in C&D waste disposal. Ironically, the waste hauler is called “Magic Disposal”. Not so ironically, I was born about twenty miles from this site. Atlantic County is seeking a court ruling to stop an Egg Harbor Township waste hauler from operating an alleged illegal solid waste facility off the Black Horse Pike. A complaint filed last month accuses Steven Waszen, who operated Magic Disposal until January 2010, of dumping solid waste and hazardous materials, including asbestos, and maintaining a public health nuisance at the property he owns at 2520 Tremont Ave. in the Cardiff section of the township. On May 20, a county Division of Public Health inspection revealed 99 solid waste containers, two of which contained asbestos; an estimated two yards of construction and demolition debris; a 10-foot-high pile of scrap tires; leachate — or liquid discharge — forming puddles on the ground; and a trash compactor truck emitting “foul odors and draining foul leachate onto the ground” at the site. When inspectors returned July 14, they reported finding 106 solid waste containers and a “very strong odor” of garbage. The asbestos material, leachate and scrap tires remained on the property, while the trash compactor had been removed. This is not the first time Waszen has been connected to such allegations. In 2007, the state Department of Environmental Protection imposed a $700,000 fine — which, according to the DEP, has never been paid — against the company for violations at its now-closed Ridge Avenue facility, which Waszen operated from 1996 to 2005. Two years later, the department banned Waszen from the solid waste industry and revoked Magic Disposal’s certificate to operate a solid waste facility, or Certificate of Public Convenience and Necessity. After protracted legal battles, both decisions were upheld by state Superior Court. In December, the DEP also excluded Waszen and Magic Disposal from most recycling activities in the state, a decision DEP spokesman Larry Hajna said has not been appealed. Waszen could not be reached for comment. Attorneys who have represented Waszen in the past declined to comment or did not respond to messages. Officials at the local, county and state level say it is difficult to prosecute Waszen or to enforce the judgments that have already been made. “He gets fined, then there’s a court order we’ve got to collect and, if he doesn’t pay, we’re back in court again,” County Executive Dennis Levinson said. Magic Disposal also owes Egg Harbor Township more than $4.3 million in fines for failing to obtain building permits for a garage at its Ridge Avenue complex. Although technically that figure has continued to grow in the absence of payment, Township Administrator Peter Miller said building officials stopped calculating the fines in 2010. Miller said the legal costs to bring Waszen to court would be greater than the partial amount a judge would likely award the township. With the Ridge Avenue facility closed and the county now prosecuting Waszen for his Tremont Avenue facility, Miller said the point is moot. “Their issue is more significant than ours over whether he got the proper permit in a timely fashion,” he said. Levinson said it is frustrating that the county and the DEP’s enforcement efforts are constantly hampered by court appeals. Rick Dovey, president of the Atlantic County Utilities Authority, said Magic Disposal has been a well-known problem operator for 20 years. It’s one of the few remaining companies that makes skirting the law a “consistent method of operation,” he said. “I just know if ACUA or any other public entity were to do that, we would be noticed and fined appropriately, and quickly,” he said. One issue, Dovey said, is that most people aren’t familiar with the regulations for waste haulers. The county’s action came as a surprise to most of the Tremont Avenue facility’s neighbors. Dan Wilhelm, 55, who lives behind the facility on Windsor Drive, said he has not heard or smelled anything from the site since the owners erected a mound of dirt, which acts as a sound barrier, nearly a decade ago. Before then, there was a near-constant odor emanating from the lot and regular truck traffic. If the owner has continued dumping on the site, Wilhelm said, he’s glad the county has stepped forward to prosecute. “They got to stay on that stuff — not just him, but all of them,” he said. Aside from the occasional smell, especially during the summer, neighbor Eliezer Echevarria, 52, said he has not had any recent problems with Waszen. “If you came here 18 years ago, it’d be a different story,” he said. The Ridge Avenue facility, which is not subject to the complaint, is similarly quiet. Neighbor Calvin Tureaud, 54, said there has been little activity for about two years. Gone is the stench of decay wafting in the breeze and the armada of trash trucks before 5 a.m., he said. The legal system worked for his neighborhood, at least, Tureaud said. When the facility did close, Tureaud said it happened nearly overnight. “Nobody notified us first. They just started to pack up,” he said. 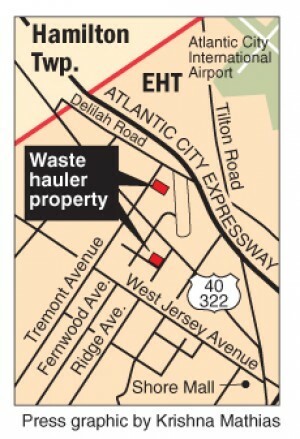 via Atlantic County seeks halt to Egg Harbor Township waste hauler’s dumping – pressofAtlanticCity.com: Breaking News. “Construction and demolition waste accounts for as much as 30% of all waste in our landfills so we’re trying to reduce, salvage and recycle as much as we can. Sometimes all we need to do is a simple sorting before dumping the waste materials off at the landfill. It’s an extra step we’re happy to take and our customers are pleased knowing that we do everything we can to reduce the amount of waste in our landfills,” said Don Mulder of Heritage Disposal, LLC (http://www.heritagedisposal.com/). via Saving The Earth One Dumpster Rental In Naperville, IL At A Time: Heritage Disposal, LLC. Oscar-nominated documentary WASTE LAND, follows native Brazilian artist Vik Muniz to the world’s largest landfill, Jardim Gramacho. It is there he unravels a fascinating and moving story of art, trash but perhaps, most importantly, the human experience. This is an unusual post for the RA seeing how we focus on the reuse of existing building materials. 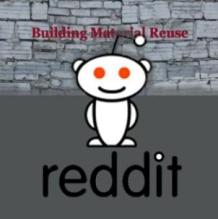 Being from South Jersey, I know it is important to support any business that is recycling and reusing materials (even if it is there own manufacturing waste material). The culture of reuse is not as strong in New Jersey as it is in other areas of the country. Which is a shame since it contains very unique wilderness and is so darn pretty in places! I appreciate the effort of Manning Mills tremendously. Thanks! Last year, Mannington’s two biggest factories – the one in South Jersey and one in Calhoun, Ga., used 190 pounds of recycled material in their products for every 100 pounds of waste generated through their manufacturing. Influenced, perhaps, by its home base in a sensitive area, Mannington Mills has been working to reduce its environmental impact by restoring 12 acres of native habitat on its 500-acre Mannington Township property and by striving to use more recycled materials in vinyl floor tiles and other products than it generates in waste that gets shipped to landfills. The effort has brought Mannington accolades from the New Jersey Department of Environmental Protection, which counts Mannington among its Environmental Stewardship leaders, which are companies that go beyond what is required by the laws to protect the environment. via Flooring supplier puts environment first – Philly.com.